Some of the best natural arches on Islay can be found on the north coast around Mala Bholsa. This one is surrounded by steep cliffs and some grassy areas. 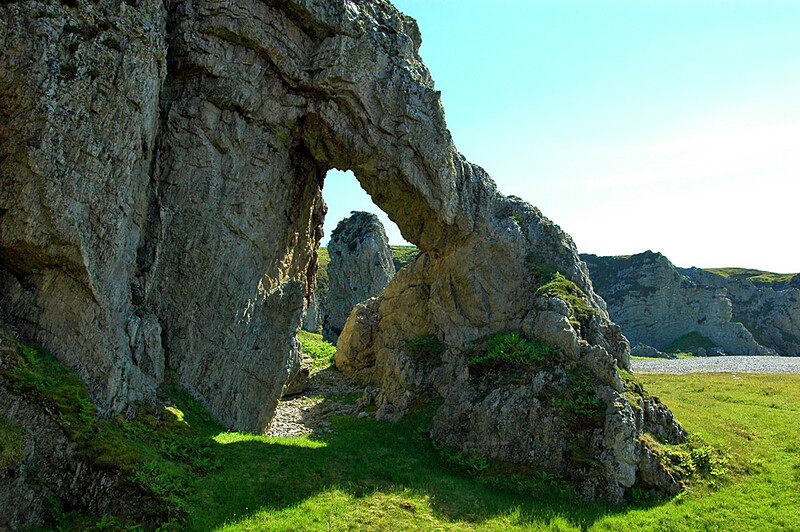 This entry was posted in Landscape, Repost, Sunny Weather and tagged Islay, Mala Bholsa, natural arch by Armin Grewe. Bookmark the permalink. The grass under the arch looks very inviting for sleeping. Which I would love to do at this moment. But instead I”ll just dream about it while working. I think James Deane pitched his tent not far from here when he stayed out there over night a while ago.